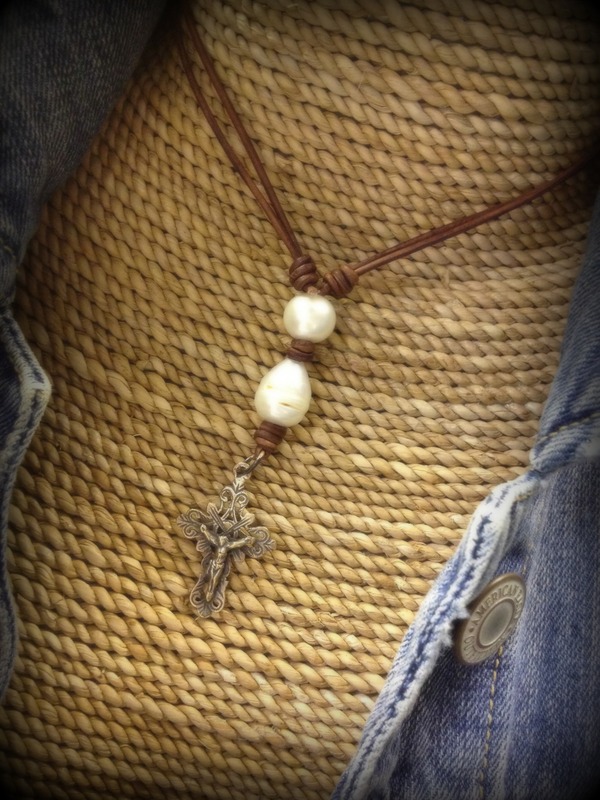 Description Elegant crucifix accented with one large teardrop freshwater pearl and one round freshwater pearl, hand knotted on round leather cord color of your choice. This necklace has a sliding knot closure allowing you to decide if you would like to wear it short or long and elegant. Leather color shown is distressed brown.